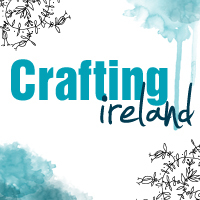 Summer arrived in Ireland and we cannot have enough of the sunshine. 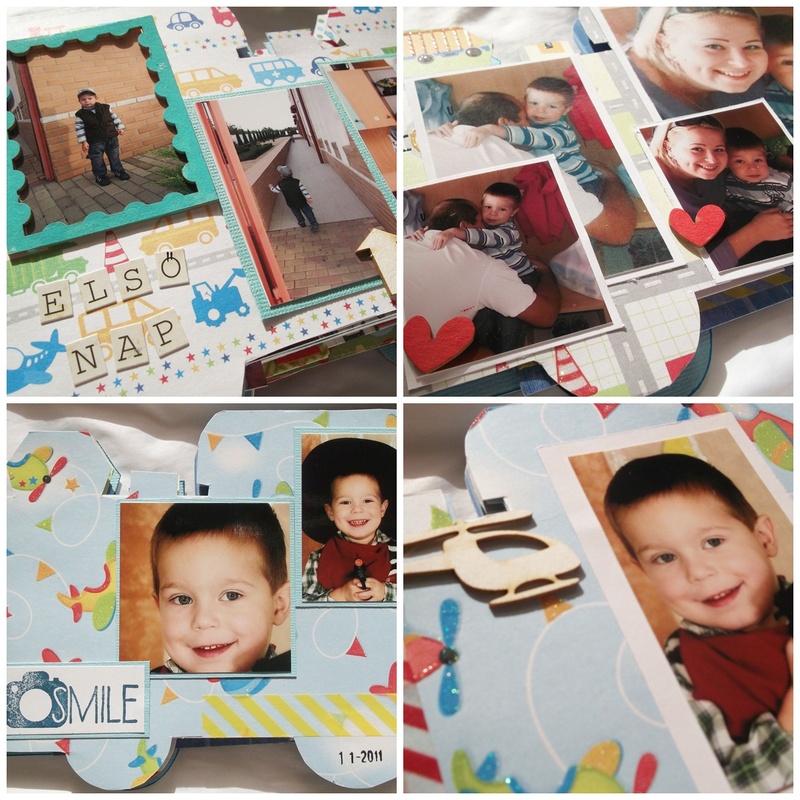 On a beautiful day like this our fabulous Guest Designer Timi will show us a mini album that she created to gather all the memories of her son’s first year in kindergarten. 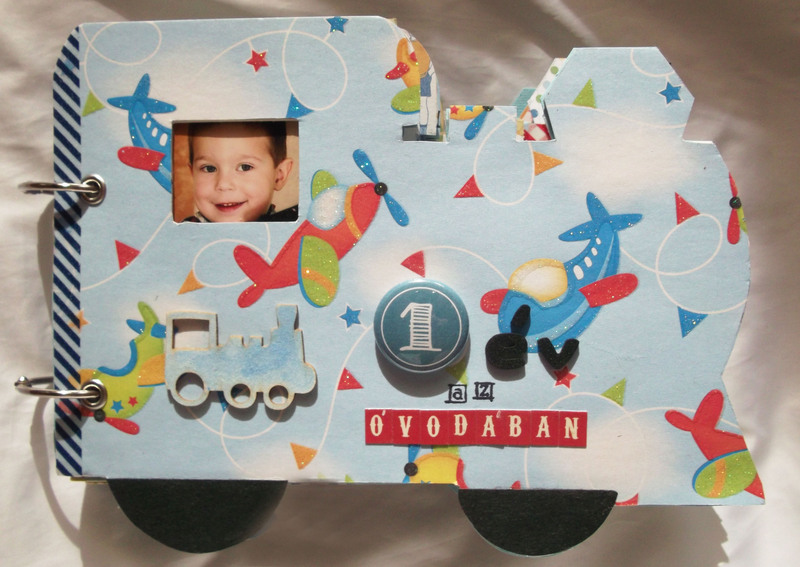 Timi’s son, Balint has a steam engine as his symbol, and that gave Timi the inspiration to create a Steam Engine shaped mini for the memories of the first year in the kindergarten. Timi drew the steam engine shape by hand and traced it onto a sheet of chipboard. 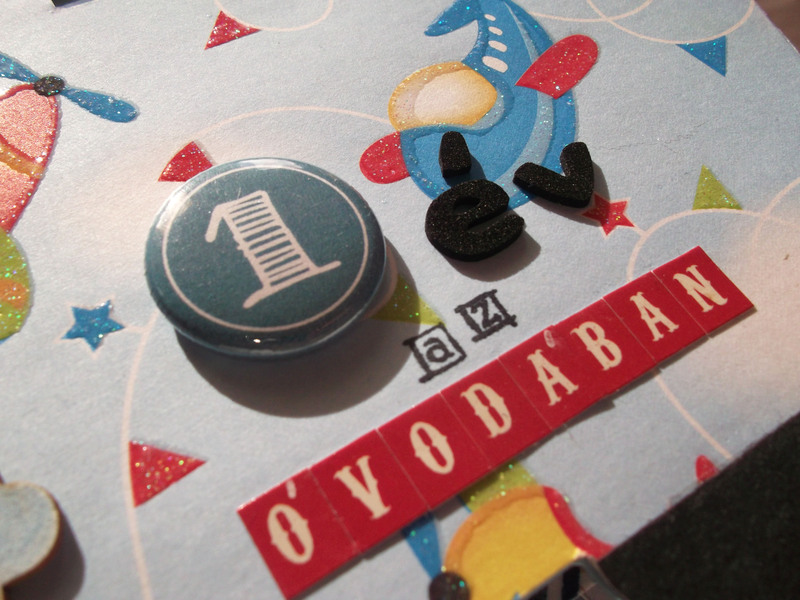 All the chipboard shapes were the covered with patterned paper. 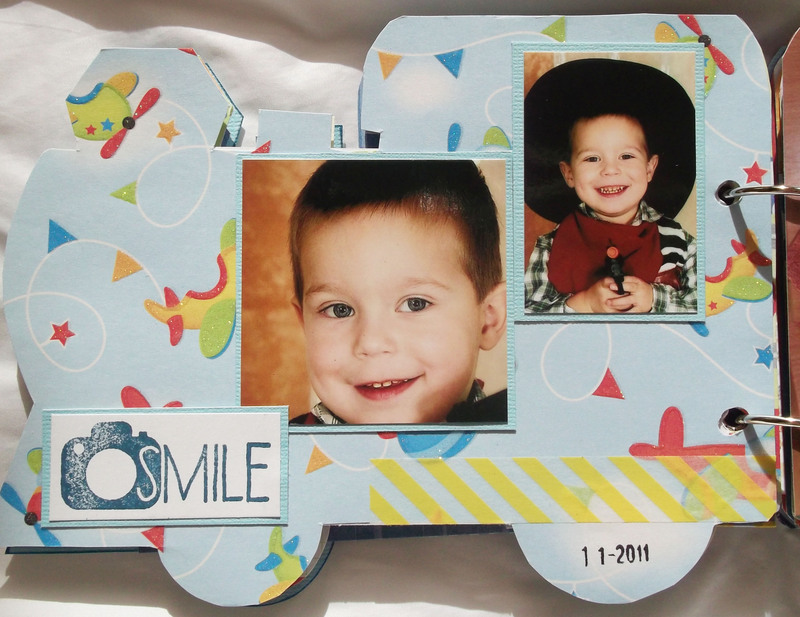 For the cover Timi cut out a little window to place her son’s picture in it. Timi gather all sorts of photographs that were taken during the first year of the kindergarten and placed them into the album: the building, the symbol, first steps on the first day. 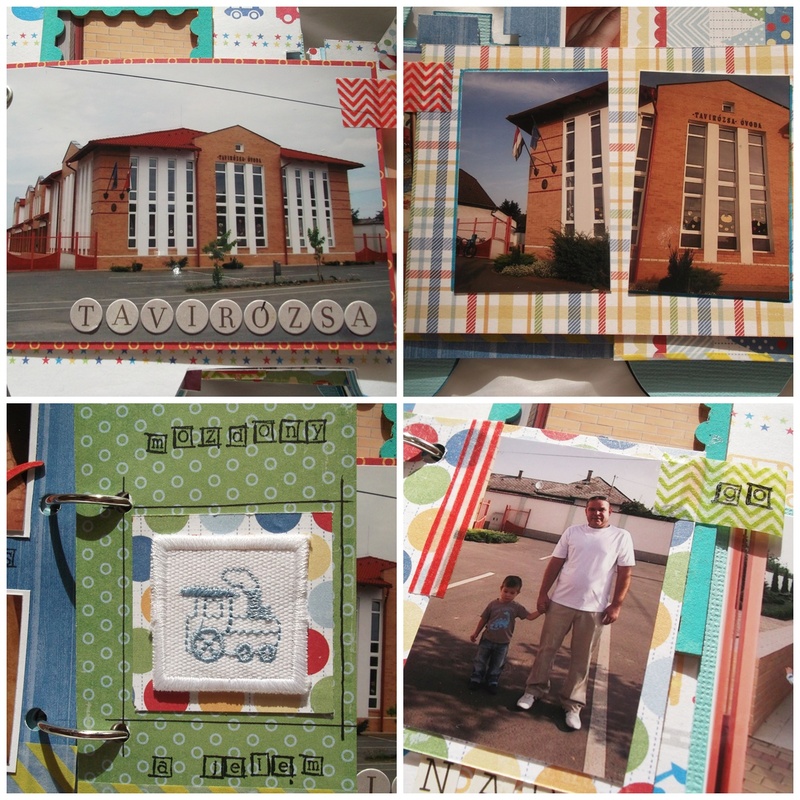 If you are creating a huge project like this one, you may want to reduce the amount of embellishments. 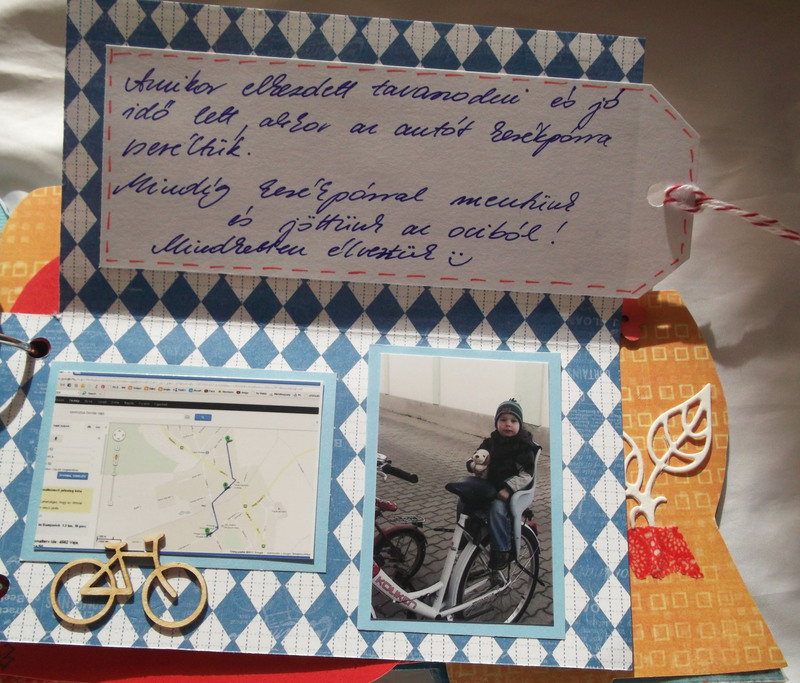 Timi used lots of chipboard pieces and washi tape to decorate her pages. The patterned paper that Timi used were pretty busy and bright in colours to achieve a very happy atmosphere to the album. 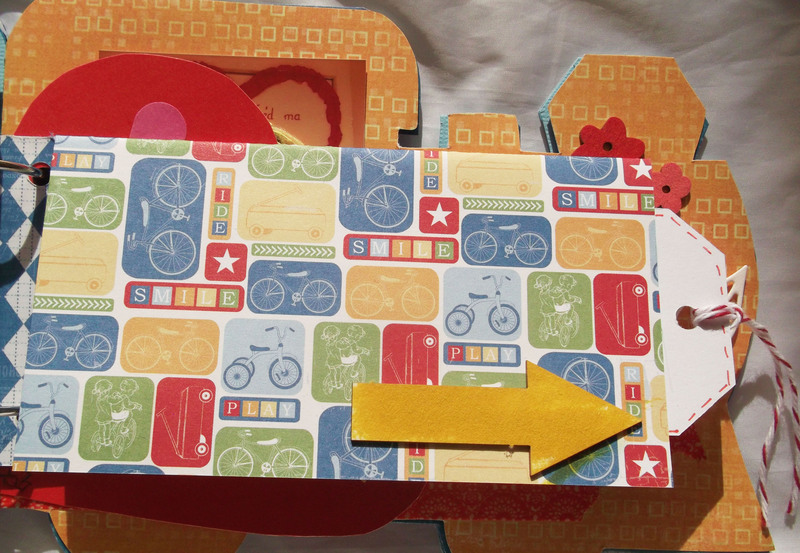 For extra journalling spot she added some little booklets that can be opened and maybe extra photos can be placed there. 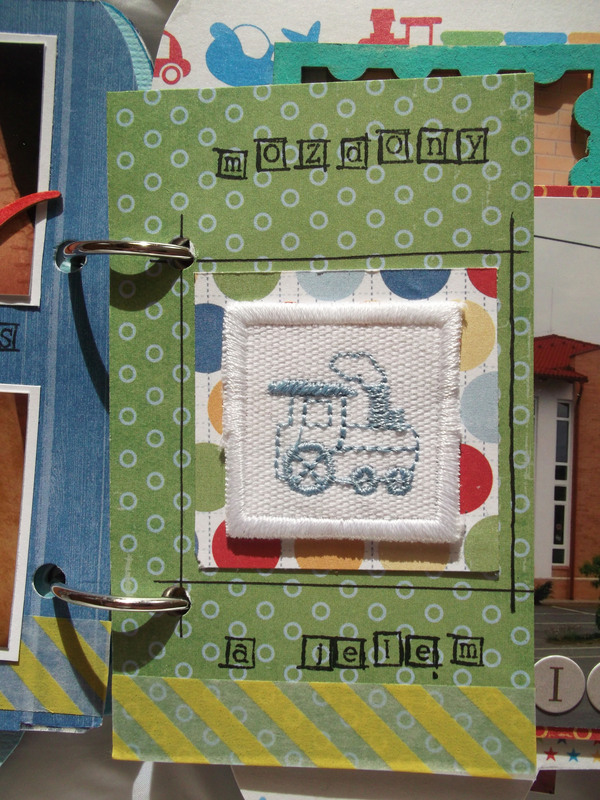 Timi has kept some of the keep sakes, like the embroidered engine symbol and she added it to the album. This is a huge project with so many pictures and details. I’m sure that her family and son will really cherish this album. I hope you like it too, we definitely do!